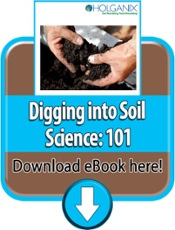 Our PB1 product line contains 4+ targeted species of soil microbes, microbe food and nutrient enhancers to optimize nutrient uptake and plant resilience. PB1 is a nutrient enhancer that facilitates nutrient uptake. Get the most out of your fertility program while nurturing your plants through our PB1 Product Line. Explore our available products below. PB1 enhances nutrient uptake by the plant and facilitates root growth through the actions of mycorrhizae fungi and amino acids. 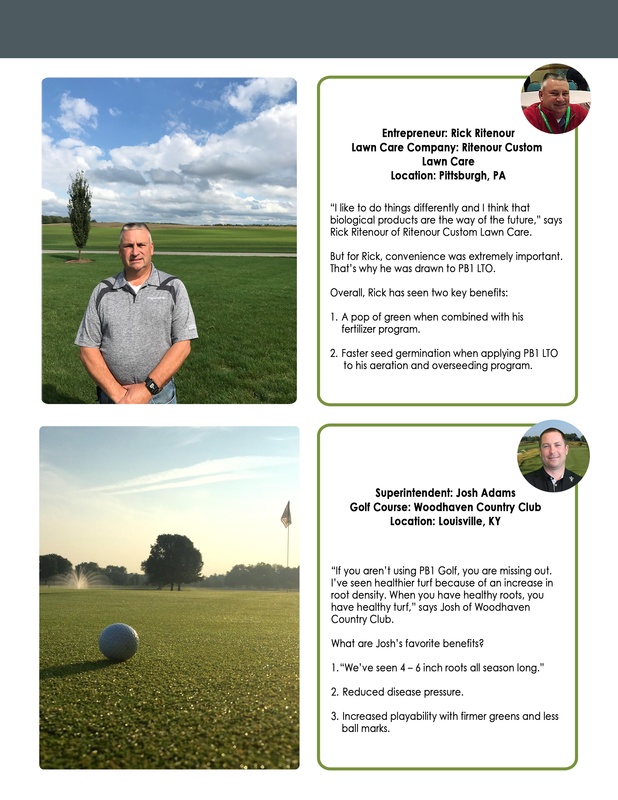 Holganix PB1 Golf is non-refrigerated and designed to work as a companion to Holganix Bio 800+ and Holganix PreBiotic Fertilizers. PB1 LTO enhances nutrient uptake by the plant and aids in plant color. 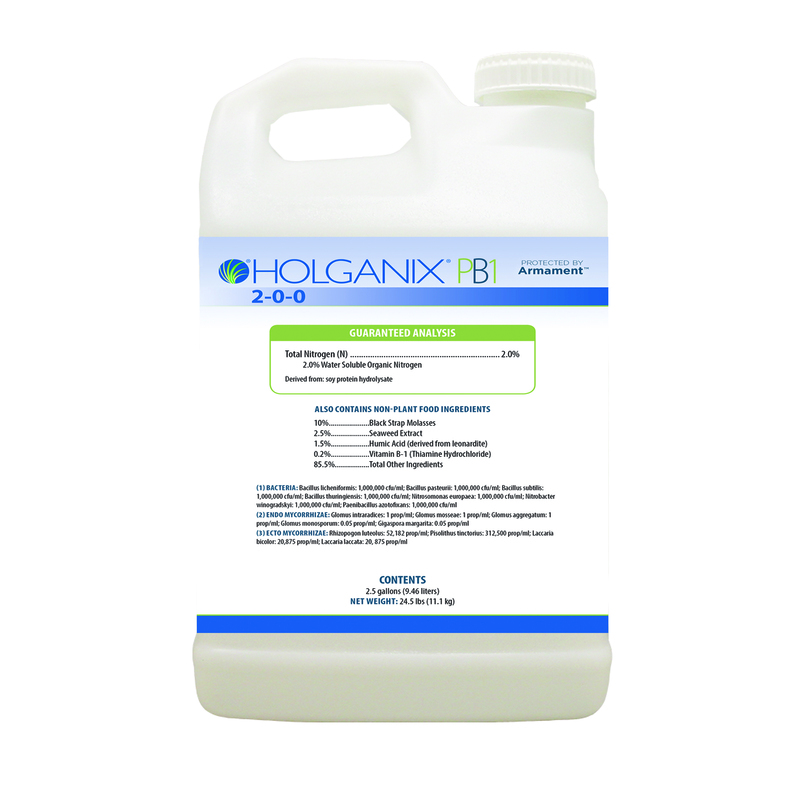 Holganix PB1 LTO is non-refrigerated and designed to work as a companion to Holganix Bio 800+ and Holganix PreBiotic Fertilizers.